Mr. Naidu, a major contractor based out of Dahisar, Mumbai, is one of the very first customers of Tata Hitachi. He has been a Tata Hitachi loyalist from 2009 and has a fleet of 16 Excavators which include one TMX 20, two EX 70s, one ZAXIS120, nine EX 200 LCs, one ZAXIS210LC, one ZAXIS220LC and one ZAXIS370LCH. Mr. Naidu has partnered Tata Hitachi’s growth in the Mumbai market bearing testimony to the organization’s belief that strong relationships lead to strong partnerships. Tata Hitachi machines are reliable and dependable. Making them my first choice almost always. 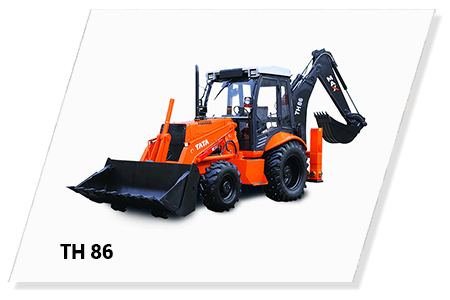 Over the years we have been purchasing Tata Hitachi Backhoe Loader for various applications such as Dozing & Levelling, Aggregates Loading in Quarry & Laterite Stone Mines, Trenching, Tipper Loading, Rock Breaker Application etc. 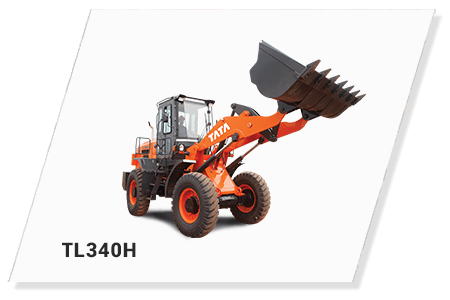 Tata Hitachi Backhoe Loaders have always given us best efficiency in tough applications. They are very productive and efficient in field jobs. Our 2 latest TH 86 Backhoe Loaders are fitted with Rock breaker attachment, which provides excellent production due to additional hydraulic power. Tata Hitachi has always provided us with good services and parts support over the years. We are very happy to be associated with Tata Hitachi for Backhoe Loaders. 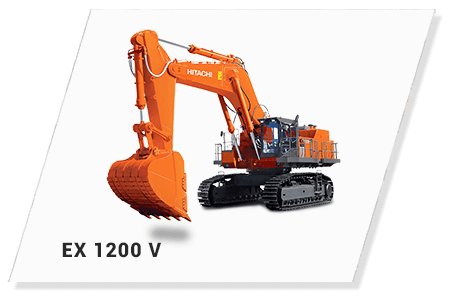 I’m using a Tata Hitachi ZAXIS220LC GI series Hydraulic Excavator for my stone mine. I have been working with this machine for the last 3 years. The machine has run for more than 10,000 hours and I am pleased with its performance and I happily recommend it to my circle. It’s also highly satisfactory in terms of reliability, service and parts support, productivity and diesel consumption. We look forward to a continued support from Tata Hitachi Team. 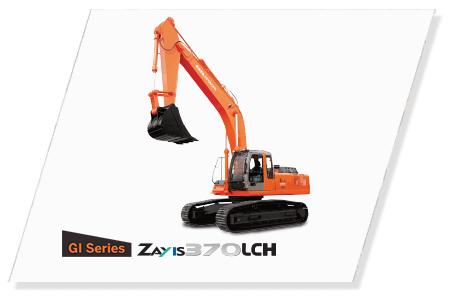 Tata Hitachi ZAXIS470H GI series is a rugged and a productive machine. We have been using two of these since May 2017 in coal AB application at NCL Bina Mines. They have satisfactorily crossed 5500 hours, and their performance is excellent. We also appreciate the service and parts support rendered by Tata Hitachi Team. We have a fleet of Tata Hitachi ZAXIS470H GI Series Hydraulic Excavators. We are extremely happy with the machine’s performance in terms of fuel efficiency, productivity and reliability. We are highly satisfied with the after sales support and services rendered by Tata Hitachi. We are happy being associated with Tata Hitachi and will definitely recommend other users to get associated with Tata Hitachi. I have been using Tata Hitachi TH 86 Excavator Loader for my crusher / quarry application and I am highly satisfied with the performance of this machine. TH 86 is highly productive reliable & works under tough conditinos. I also appreciate the support rendered by Tata Hitachi Team. For over 3 years, we have been using Tata Hitachi TL 340H Wheel Loaders. The performance of these machines are highly satisfactory in terms of reliability in services and parts support. Machines from Tata Hitachi offer better productivity compared to any other brands. I have been a loyal and satisfied customer since 2010 and I trust the reliability of their products and services. 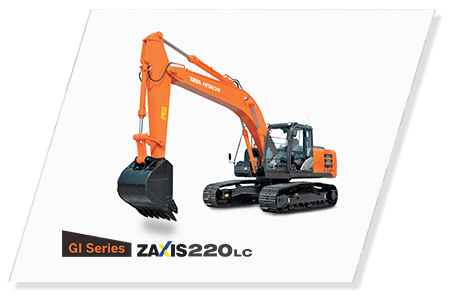 We have bought many Tata Hitachi ZAXIS220LC Excavators for our plant and have been using them for over 3 years. The performance of the machines and their customer support are excellent. Tata Hitachi machines are economical and productive. I can always count on their excellent products and services. And I highly recommend them. 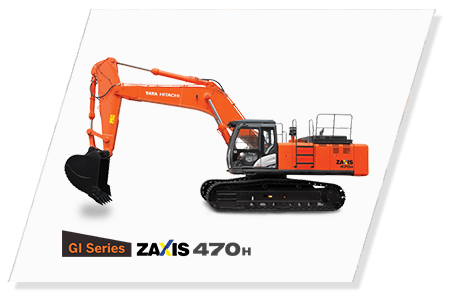 We are proud owners of Tata Hitachi ZAXIS470H GI Series. We are highly satisfied with the performance of this machine. It is highly productive, rugged and reliable. We are happy with the performance of the machine, including the fuel consumption and productivity. We are also very satisfied with the service and parts support provided by Tata Hitachi. We highly recommend Tata Hitachi machines and are extremely satisfied with the service & parts provided by the organization. We wish Tata Hitachi every success in the future. Tata Hitachi hydraulic excavators have helped us keep pace with stiff timelines and tough product plans. We are very much happy to work with Tata Hitachi machines because these types are always suitable for all conditions. We have purchased 10 nos. of EX 200LC Super series hydraulic excavators during the period September 2013 to February 2014. The first two machines which were purchased on the day of the launch have crossed 2000 hours of operation. All these machines are working near Vadakara, Kannur District, Kerala in canal digging application. We are extremely happy with the machines’ performance and very satisfied with Service support provided by M/s. PSN Construction Equipment, Kochi and Tata Hitachi Construction Machinery Company Limited. The average fuel consumption recorded on these machines is around 14-16 Lts/hr with HP mode and AC on. R K Marbles is proud to own 55 Tata Hitachi machines – Hydraulic excavators ZAXIS210, ZAXIS220, ZAXIS370, ZAXIS400, ZAXIS450, ZAXIS650 and EH 600 Dump Trucks. These machines have been a part of our fleet from 2008 and have been working in marble mining applications in Rajasthan. We are extremely happy with the performance of these machines, including fuel consumption and productivity. We are also highly satisfied with the service and spare parts support provided by Tata Hitachi. This has increased our confidence in the organization and we are now looking to increase our fleet size of Tata Hitachi machines. We are proud of our relationship with Tata Hitachi and wish the organization every success going forward.